Having a Super Bowl party next weekend? Well, here is a deal you may want to check out if chips and dip are on your party menu! This week Target has Tostitos Chips (9-13 oz bags) On Sale 2 for $5...plus, you'll get a FREE Tostito's dip with purchase (15.5-16 oz, select varieties)! There is a $1 off Target coupon here. Plus, there was a $1/2 manufactures coupon in the 1/17 SS insert. Not to worry you can combine a Target and manufactures coupon on an item!! So after coupons you pay just $3.00 for 2 bags of chips and a jar of salsa!! What a great deal! The sale at Target runs through next Saturday 2/6. See any other great deals at Shop Rite this week? If you have a deal to share...please share the details in a comment!! There is a new SoBe coupon out....it's a buy 1 get 1 FREE coupon good on 20 oz SoBe Lifewater . There is a FF link here and a IE link here. These look to be on sale next week (Starting tomorrow) at Target for $1.00 each so after coupon just $.50 a piece. I'll keep you posted if I find a better deal on them.....or if you find one before me, please share with us in the comments! Just in case you missed it earlier this month Avon once again has their Kids Bath Time Body Paints On Sale for just $.99 each, down from $1.99. Plus your order ships for FREE when you spend $10 and enter code: AVONFS at checkout. We have had these many times in the past and they were a BIG hit at bath time!! They have great reviews too.... 4.4 out of 5. Perhaps these would be a great addition to a Valentine's gift, or an Easter basket....or maybe just because you love them!! There is a new Bath & Body Works coupon out, save 20% off ANY purchase this weekend only, tomorrow 1/30 & Sunday 1/31. Coupon can be used in-store with this printable here or online using code: 20PERCENT. Coupon is valid on sale and clearance items. If you like their Anti-Bac Hand Soaps, check this deal out.....They are having a sale this weekend on their Anti-Bac Hand Soaps, 5 for $15 or 7 for $20(better deal of the 2). These are regular priced at $5 each. If you like these perhaps now is a good time to stock up on them. Pay just $16 plus tax....works out to be just $2.25 each!! That is less than half price!! 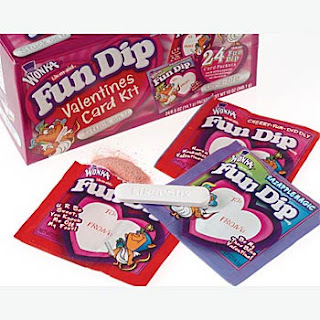 There is currently a printable coupon for $1.00 off any ONE (1) Nestlé or Wonka Mini Valentines Gift Exchange Kits here. Starting this Sunday Rite Aid has select varieties (including a few Wonka brands) of Valentines Candy Kits On Sale for $2.44. After the printable coupon above it makes the kit just $1.44 plus tax!! An awesome deal for Valentines for your kiddies class!! The sale at Rite Aid starts this Sunday 1/31/2010 and runs through next Saturday 2/6. Probably a good idea to print your coupon off now, just in case it disappears over the course of next week. Well, if you do, this post is for you!! Click here to join Orange Julius's OJ Quench Club and as a Thank You for registering you'll receive a coupon via email for a FREE 20 oz Orange Julius Fruit Drink or Premium Fruit Smoothie. 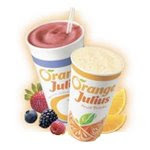 Not sure if an Orange Julius location is near you...click here for locations. Before you know it Valentine's Day will be here....I cannot believe it myself!! Perhaps you and you loved one may want to celebrate a little early to avoid the crowds on Valentine's weekend? Or maybe your family is long overdue for a nice meal out together? Buca di Beppo has just released a great coupon if you have a location nearby....here is a printable coupon for $10 off any food purchase of $20 or more. The coupon can be used on Buca-To-Go as well as dine-in. It expires on 2/7/2010. See any other great buys this week at Acme? If you have a deal to share please leave the details in the comments for us to see!! If you have yet to become a friend of Babies R Us on Facebook now may just be the perfect time too!! Today ONLY, Thursday 1/28 when you become a fan of BRU on Facebook you will receive a FREE $5 eGiftCard! The free eGiftCard is while supplies last, and is valid through 2/20/2010. It can be used both online or in-store on your next purchase at BRU. Click here to become a fan. If you are in need of baby wipes and have a Shop Rite nearby head on over by this Saturday. They have Shop Rite Brand Baby Wipes (Choose from Scented or Unscented) 176-ct. pkg. On Sale for just $.99!!! What a Deal!! You save $3.50 per pack you buy!! There is a limit of 4 per variety....so mix and match scented and unscented to get 8 packs or if you prefer one over the other take hubby with you to get 8 packs in one trip!! I am a bit sad to report that I will not be taking part in this great deal....as Little Miss is now completely potty trained!! Excited that my baby girl is growing up....but in a way sad it's happening Oh so quickly!! Have you ever tried PEI WEI before? If not, then tomorrow may be a good time to give them a try! Or if you have been before and would love to go back, tomorrow is good for that as well! Why you ask? Tomorrow, Friday 1/29 PEI WEI is hosting a Lantern Festival. If you stop by from 11am-9pm at any PEI WEI location and purchase an Entree you will receive a voucher for a FREE order of NEW Carmel Chicken. The voucher can be redeemed from 2/1-2/7/2010. And if you cannot possibly wait until next week to sample the new Carmel Chicken, not to worry they will have free samples of it in their restaurants tomorrow for you to try!! It is once again time for another BIG sale at Old Navy...this time around it's 30% off EVERYTHING (excludes gift cards) in the store for 2 days only, tomorrow Friday 1/29 and Saturday 1/30. If you have an Old Navy credit card you may have received a coupon in the mail last week (actually looked like an over-sized postcard) to save an additional 25% off in-store purchases from 1/28-1/31/2010. Not sure if you can combine the 2....but if so you could really rack up some great deals!! Probably best to ask at your local Old Navy!! Happy shopping...or should I say bargain hunting!! Have a Del Taco Nearby? Short on time for dinner tonight? Well, Thursday nights from 3pm - 11pm are Taco Night!! For just $2.09 you get 3 Chicken Soft Tacos....Each taco includes:Grilled Marinated Chicken, Crisp Lettuce, Cheddar Cheese, and a splash of Secret Sauce. Star Wars The Clone Wars Captain Rex Electronic Command Helmet On Sale for just $19.99 down from $49.99. A good deal in itself, yes...but wait there's more good news!! If you use your Kohl's card as your payment method enter promo code: SHOPNSAVE to save an additional 15% off. Then enter coupon code: FREEJAN to get FREE shipping on your order!! Plus, Hasbro is currently offering a FREE Sage Legends Figure Giveaway by mail. The Captain Rex Electronic Command Helmet is a participating item for the rebate program. Simply mail in your original store receipt along with this redemption form here to the address listed and you'll receive 3 FREE Star Wars Legends Action Figures by mail!!! Your rebate must be postmarked by 4/3/2010. I know in our house Cheez-its are a favorite snack of the little ones! Well, Sunshine has just came out with new flavor, Italian Four Cheese . They are offering a printable coupon for $.75 off a 13.7 oz box of them when you register with Snackpicks here. 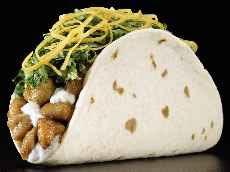 That's right....Qdoba Mexican Grill is giving out 250,000 FREE food coupons now through 2/22/2010, or while supplies last. Try your luck here. Not everyone is a winner, but if you are lucky enough to win, your coupon is valid for 48 hours after you print it. Not a winner today? Try your luck again tomorrow, and everyday until the coupons run out or 2/22 is the date on the calender!! Thanks to Michelle for the heads up on this great deal!! Is Your Mustard stockpile a bit low? Well, Shop Rite has a deal on French's this week. They have the 12 oz squeeze bottle of French's Deli Brown Mustard on sale for $.77. There is a $.50/1 printable coupon here. Your coupon will double and your mustard will be FREE!! The sale at Shop Rite sale runs through this Saturday 1/30/10. Just in time for the big game next weekend (The Super Bowl in case you forgot) Kraft has just released many great money saving coupons for various Kraft products!! Click here to select the coupons you'd like to print. You can print (2) of each coupon. I am sure these will go fast so hurry and print yours if you see any you think you may use!! Thanks to Juile for the heads up on these great coupons!! Have a new little one is diapers? Well, here is a 3-diaper free sample of Huggies Pure & Natural Diapers. Pure and Natural come in size Newborn and Size 1 only. Says your sample should arrive in 4-6 weeks. Limit one per household. This week Walgreens has Mens Sure Deodorant (2.6-2.7 oz) On Sale 2 for $3.00 with in-ad coupon. There was a $1.50/1 coupon in this weeks 1/24 Smart Source insert. Final price after coupons is FREE!! FYI: Only have one manufactures coupon for Sure? At my local Walgreens they only had one men's Sure on the shelf, the associate said I could buy just one..... they scanned the store coupon and the sale price came up for just one even though coupon states 2/$3. Who would of known...just a heads up! The sale at Walgreens runs through this Saturday 1/30/2010. Have a Macaroni Grill nearby? Perhaps this will come in handy if you do...click here for a coupon for a FREE Appetizer (Up to $9) when you buy any 2 Adult Entrees. Coupon does not expire until 2/24/2010. If you sign up to receive the Post Natural Advantage Newsletter here they will let you print a coupon for $2.00 off any 1 box of Post Grape Nuts, Shredded Wheat, or Raisin Bran cereal. Now all we need is a great sale on these cereals and we have a very cheap or possibly FREE box of cereal!! My coupon expires 2/22/2010. Kohl's currently has this Playskool Blocksters Block Spot toy On Clearance for just $9.99 (down from $24.99) If you have a Kohl's Card and use it as your method of payment you can save an additional 15% off by entering promo code: SHOPNSAVE at checkout. For FREE shipping enter promo code:FREEJAN as well. As with all Kohl's online orders you can use 2 coupon codes per order...not to worry!! Final Cost after promo codes is just $8.49 shipped!! What a Deal!! I am sure these will go fast...so jump on it if your interested. Just a quick note to Thanks all of my lovely readers for keeping my family in your thoughts over the past few days. Your comments, emails, and kind words were very thoughtful and appreciated deeply in this sad time for us!! Things are starting to get a bit more back to normal around here (or as normal as possible for the circumstances)...so be sure to stop by for the usual deals, freebies, coupons, and more!! 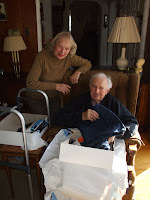 My dear Grandfather has just passed away so I will be taking some time off from the blog to spend time with our family at this most difficult time.